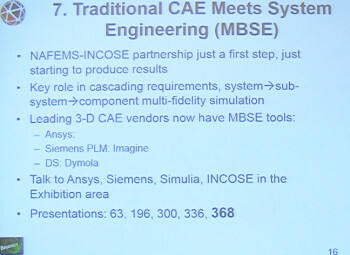 The NAFEMS World Congress is designed to bring all the big names in CAE and SPDM (Simulation Process and Data Management) together under one roof. With so many key players in the discussion, it is useful for determining trends and getting an idea of what the CAE’s future might hold. 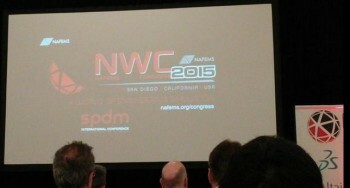 NAFEMS World Congress is a biennial event, bringing together the simulation community in a vendor neutral platform. NAFEMS keynotes allow discussion of the trends and issues affecting vendors, users and academics within the CAE community. 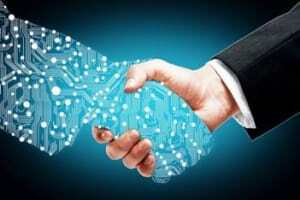 Here is a summary of some of the trends industry analysts discussed at the event and with ENGINEERING.com. 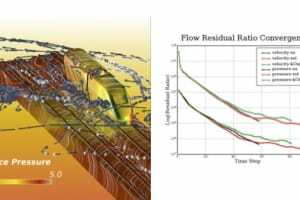 NAFEMS represented one of the first times Joe Walsh, CEO of IntrinSIM, was able to share the findings of his Analysis, Simulation & Systems Engineering Software Summit (ASSESS). 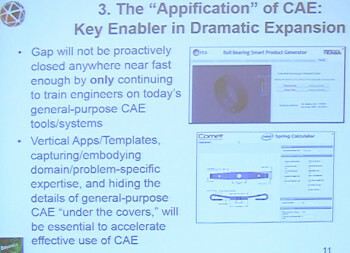 Walsh explains that these CAE issues are both driving and following the trends. 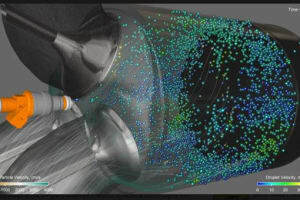 For instance he notes a reduction of simulation expertise coupled with an increased demand for the analysis is driving many vendors to democratize CAE and advanced CAE to fit-for-purpose applications. 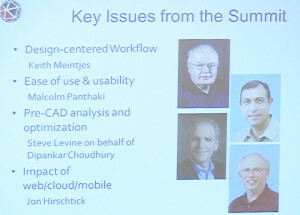 Dennis Nagy's Slide includes images of simulation apps created by Front End Analytics. 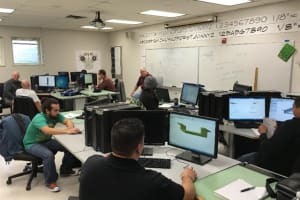 “For years people have been calling it democratization: getting simulation out to more engineers,” said Dennis Nagy, principal at BeyondCAE. He notes that there are currently three obstacles to this: the cost of the software, the cost of the hardware and training/expertise. 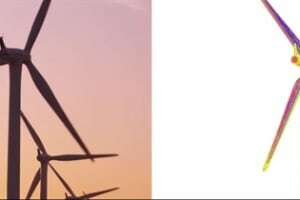 As for the first two obstacles, much of the costs associated with the hardware and software have been solved via the Cloud – opening the door to vendors that offer similar simulation codes on a pay-by-use basis, Nagy remarks. Nagy noted that this final barrier is the hardest to overcome. 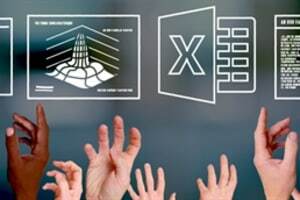 Users either need training, tutorials or background knowledge to ensure the simulations are telling them what they really need to know. A training process could take years. The trend of “appification” seems to be the answer to this barrier as it can pass the expert’s knowledge to others through a simplified simulation interface that requires minimal training. 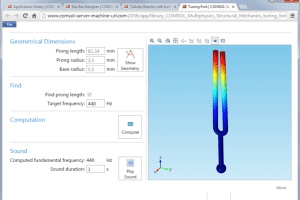 Some organizations like COMSOL are distributing simulation app-builders that allow experts to create vertical apps to meet the needs of industry-specific engineers. 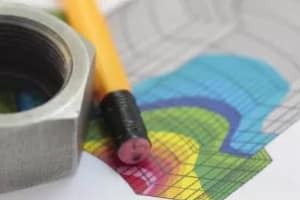 Other vendors like ESI Group’s are creating various fit-for-purpose tools of their own for anything from stamping, welding and seat design. 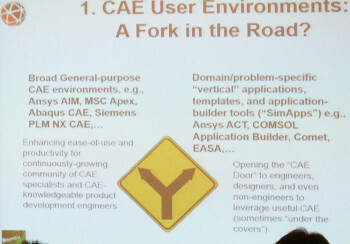 These fit-for-purpose applications also topped Walsh’s short list of CAE industry issues. “The purpose should define what needs to be done, not the fact that I’m doing a static and stress analysis,” Walsh clarified. Therefore, the purpose could be the whole system, trend analysis, subsystem, geometry or more. It just needs to fit the requirements of that specific user. 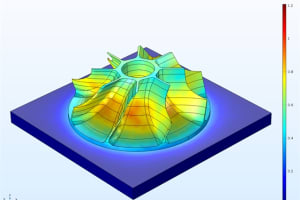 Nagy explained that the move towards fit-for-purpose simulation has created a fork in the road with respect to trends – namely the trend towards all-purpose multiphysics platforms that can handle various problems. 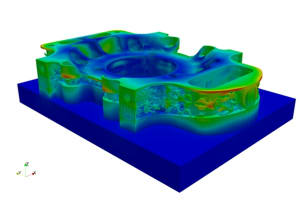 As such, a structural simulation analyst would need to be trained in fluid dynamics in order to create meshes for multiphysics simulations. Analysts will need to learn how their meshes might need to change. Alternatively, they may even need two meshes that pass information between themselves. 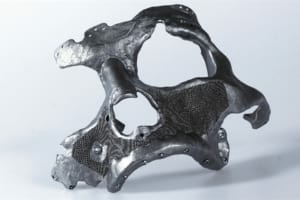 Various big vendors in the CAE space like Siemens, MSC, Dassault Systèmes, COMSOL and ANSYS are broadening their multiphysics CAE platforms with increased capabilities to meet this trend and expand broad based simulation platforms. 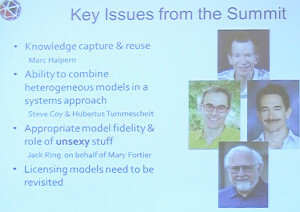 “There have been a number of vendors that started in one of those areas of physics, but have either been acquired by or merged with vendors in other areas to make more multiphysics where it’s actually needed,” noted Nagy. 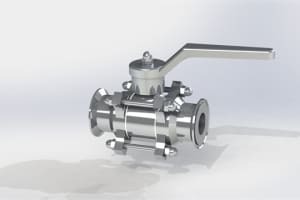 Walsh is also interested in a trend that is tying model-based systems engineering with classical FEA and CFD simulation analysis. 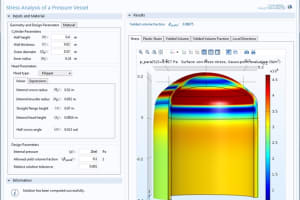 Unlike multiphysics that expands CAE to additional simulation types, this trend expands CAE by linking simulations into an overall system level digital prototype. 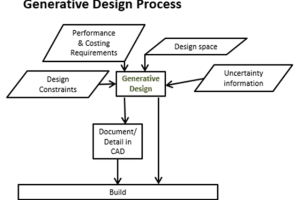 “This way we can link simple 0D and 1D models of systems engineering and pass those results through to the 3D high fidelity models so the complete design processes is done through a systems engineering perspective,” said Walsh. 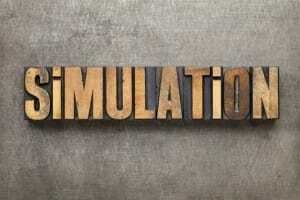 Nagy jokes that in the past, system level simulations used to be individual teams working on independent parts that would pass their findings around cubicle walls. However, by replacing this manual system with digital systems, the complete design team can keep track of the entire project. 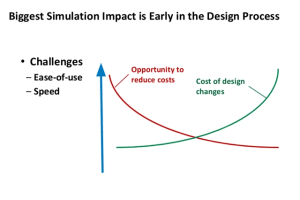 “The idea of simulation process and data management entered into the industry a few years ago,” explained Nagy. 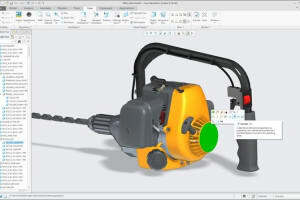 “This all worked at the component level. 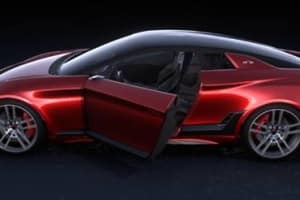 But what do you do with all the data and workflows to develop a product like an automobile? As for the future of simulation, Bathe is looking small, nano-scale to be exact. 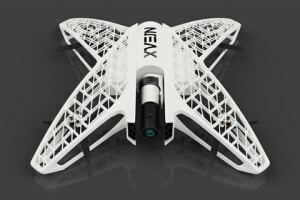 “Finite element analysis and simulation at the nano scale will open up a huge field,” Bathe said. 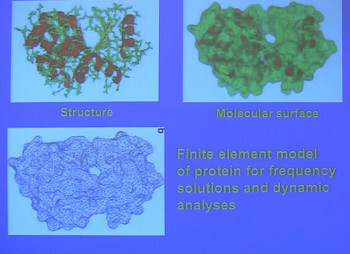 He explains that this can lead to the analysis of proteins and DNA structures for biological engineering, energy engineering, medical and many other industries. 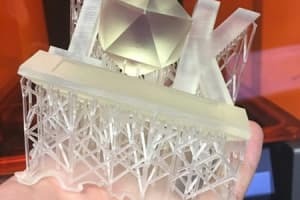 “Ideally you will want to go from the nanostructures up to the much larger scale structures… We have had very good correlations with many proteins,” said Bathe. 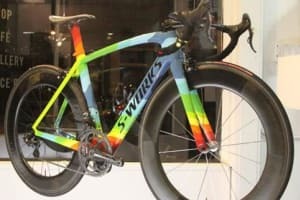 One organization riding this trend is Dassault Systèmes with their BIOVIA brand.